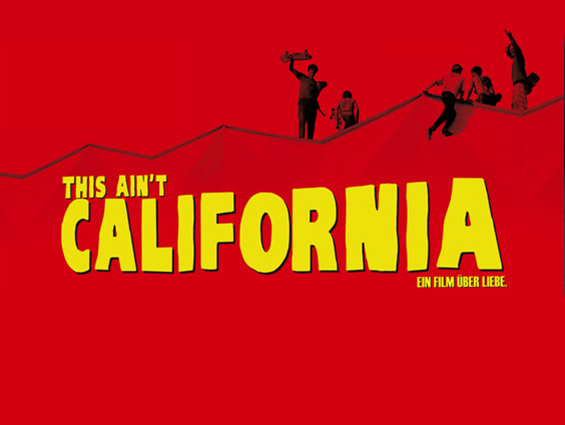 We worked with Luxin Ltd to manage the UK theatrical and home entertainment release of German ‘mockumentary’ This Ain’t California – a visually stunning film about the skateboarding scene in 1980’s communist East Berlin. This Ain’t California is a celebration of the lust for life, a contemporary documentary trip into the world of roller boarding in the German Democratic Republic. A coming-of-age tale of three teenagers and their passionate love for a sport on the crumbling tarmac of the streets in the German Democratic Republic, which was considered very ill-fitting. The punk fairy tale is a story of the subversive powers of fun in that part of Germany, which had lost touch with its citizens. The film follows its three heroes from their childhood in the seventies through their teenage rebellion in the eighties, ending in the last summer of the German Democratic Republic in 1989, when their lives changed forever, and follows them to 2011. We managed press screenings, reviews, talent interviews, digital assets and creative strategy, securing quality press coverage with media outlets including The Guardian, The Times, The Independent, Time Out, Huck, Londonist, Hunger TV, Grolsch Film Works, The Upcoming, Electric Sheep, No Cigar, The Huffington Post, Dazed and Confused, Little White Lies, Empire, and much more. We partnered with Vice Magazine to launch exclusive photography depicting the skateboarding scene in communist East Berlin, and hosted an influencers screening and director Q&A in East London dive bar The Alibi in association with Long Live Southbank. To celebrate the DVD release we teamed up with Parlour Skateshop, Huber Beer and Jameson Irish Whiskey to throw a launch event for London’s skateboarding community.